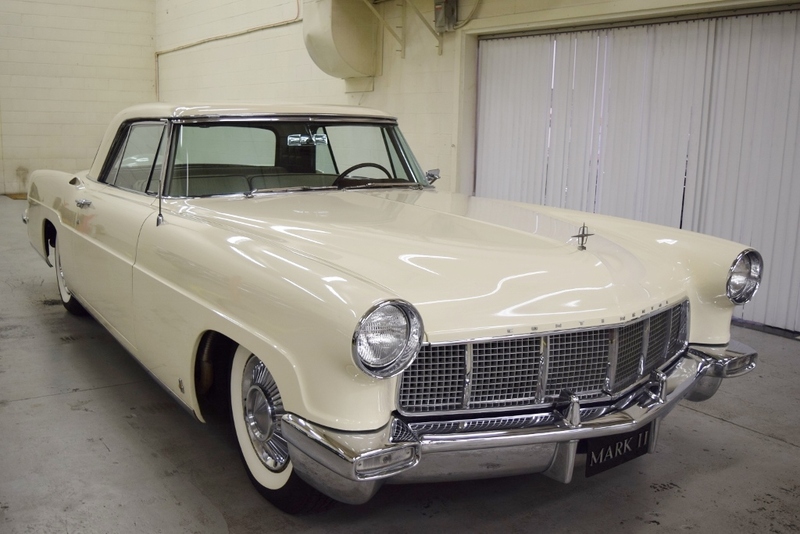 A 1956 Continental Mark II that will Impress You—and Everyone Else! 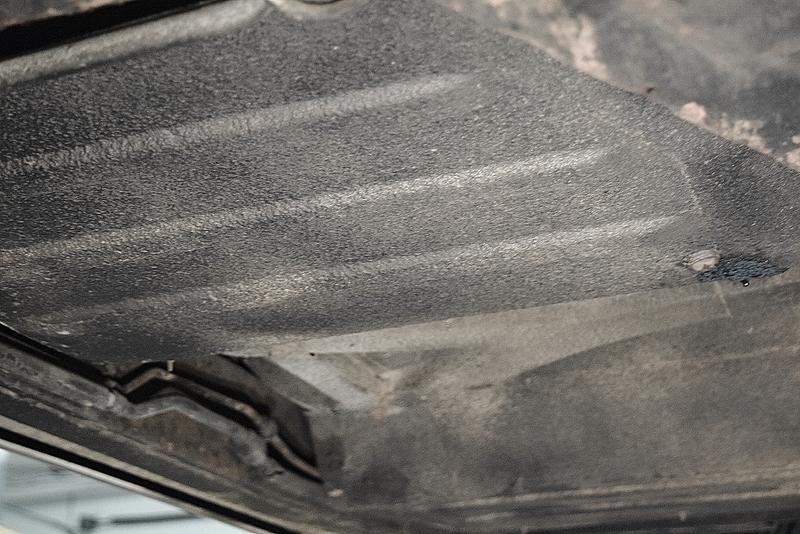 For those who like to decode VINs, there is attached a picture of the VIN plate. 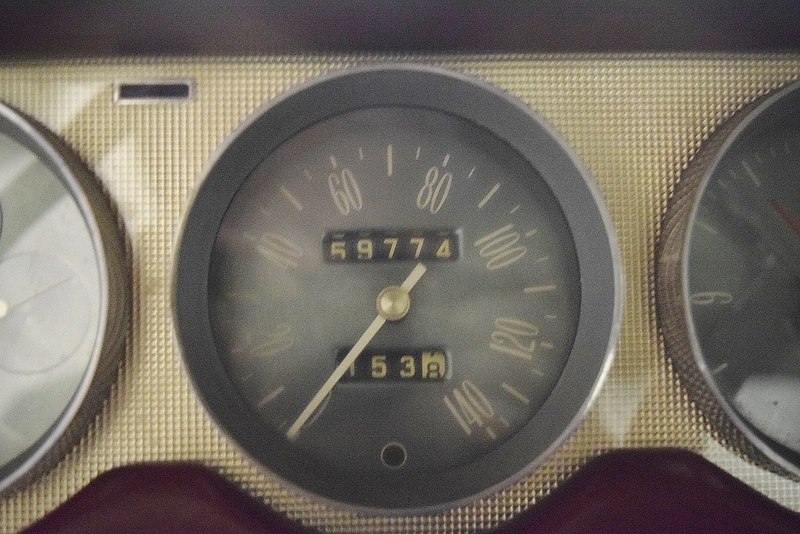 That number is C56H3224. 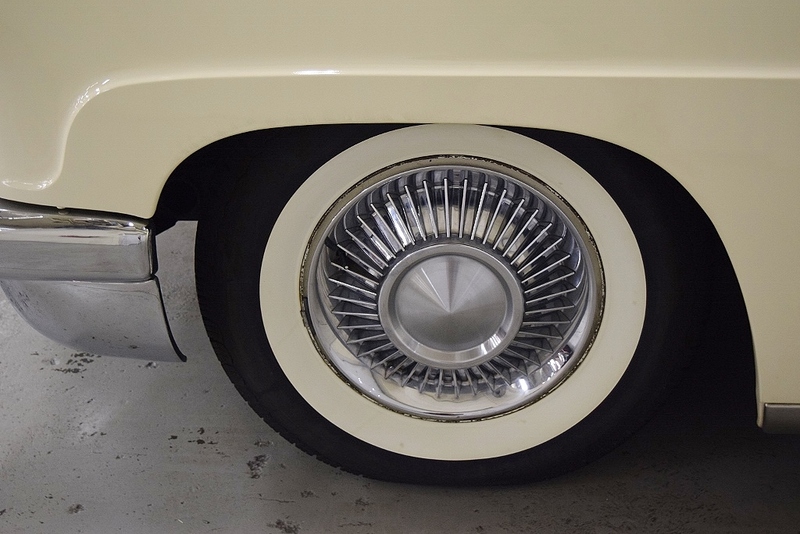 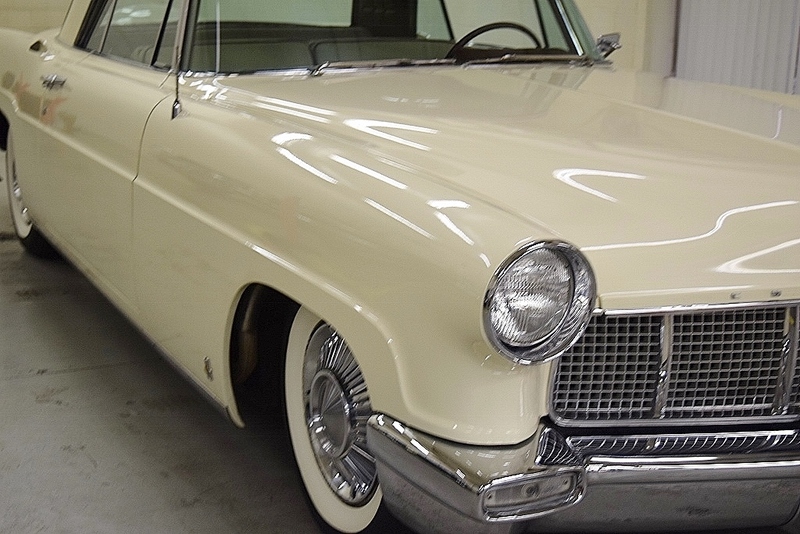 This Mark II underwent a high-quality respray in its original Starmist White. 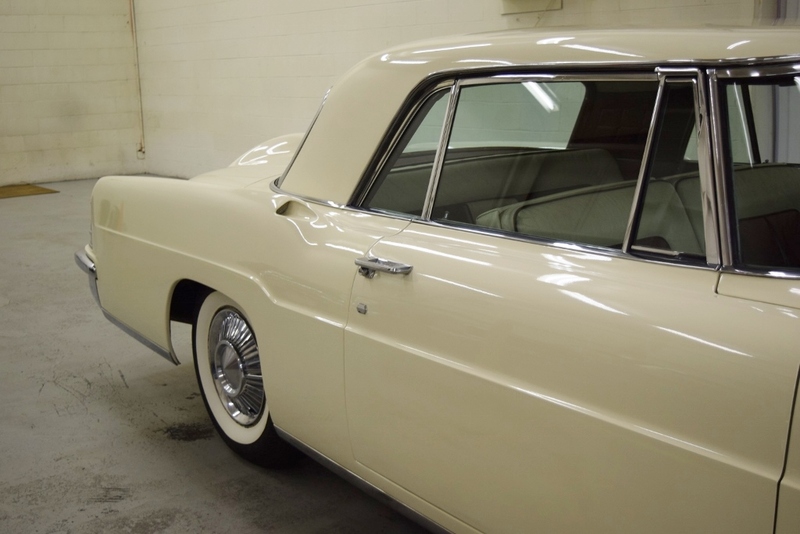 Its lustrous finish has a deep shine and looks almost showroom-fresh. 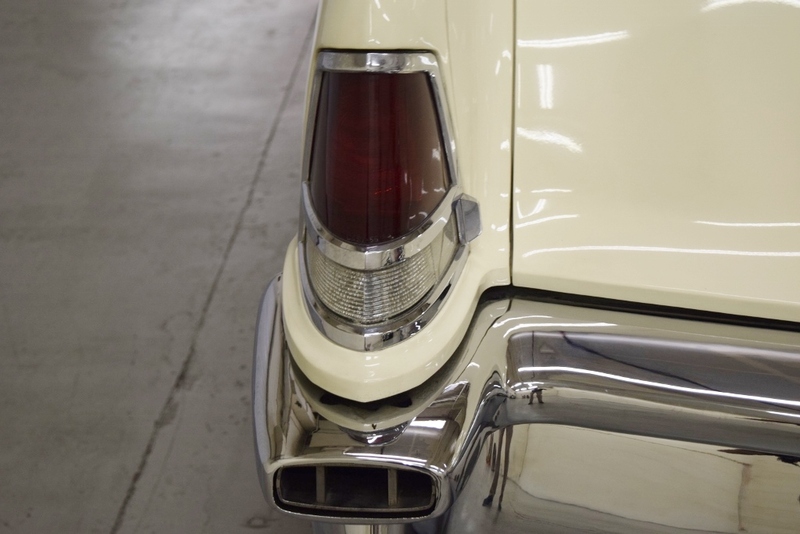 The chrome and stainless are in excellent condition and nicely compliment the paint. 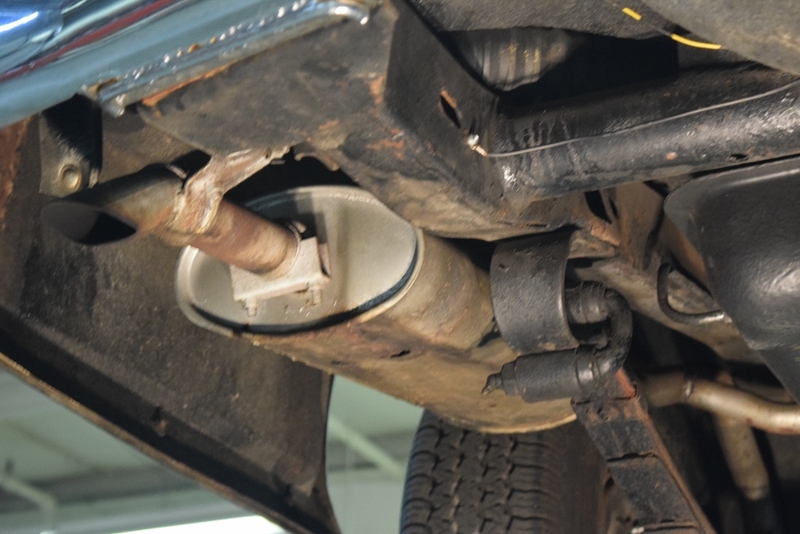 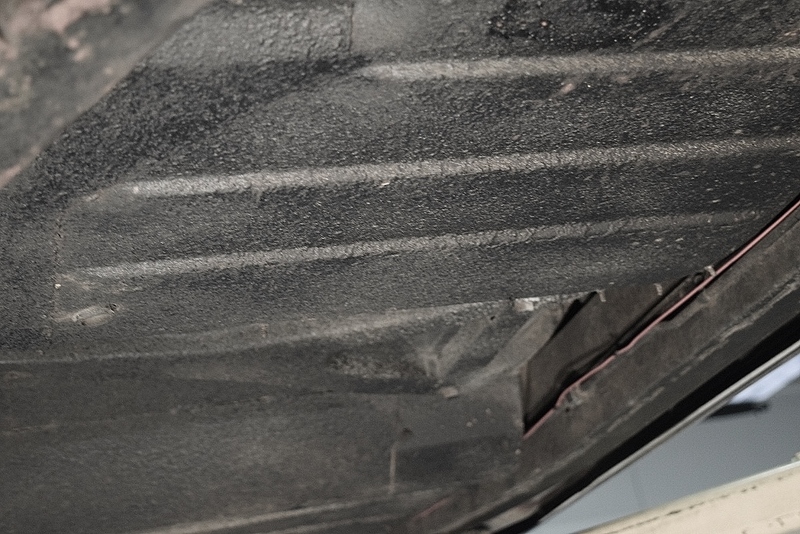 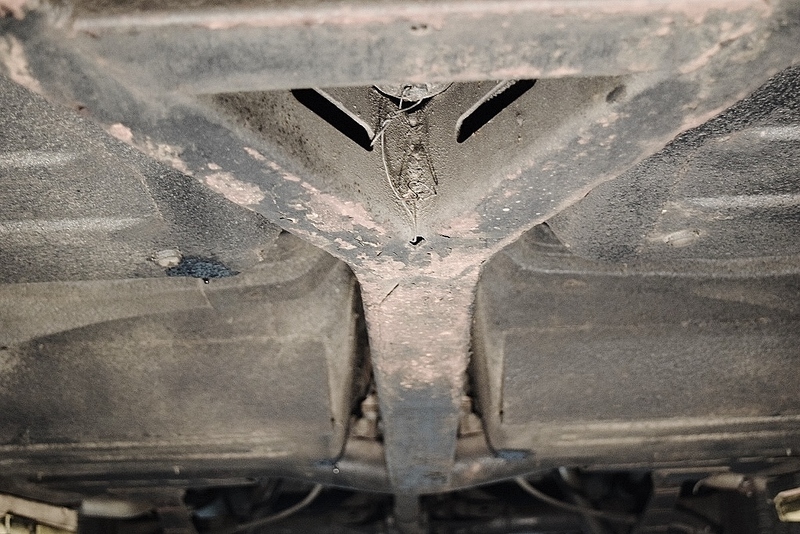 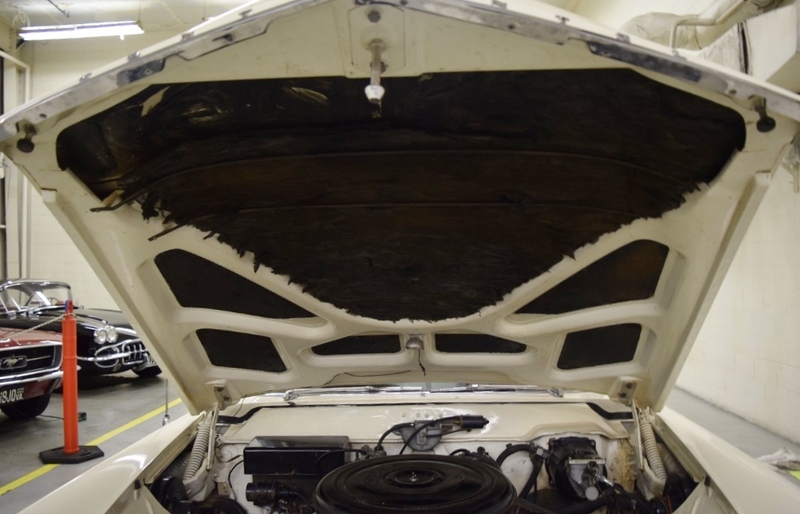 And, the body and underside of the car appear to be free of rust and/or corrosion. 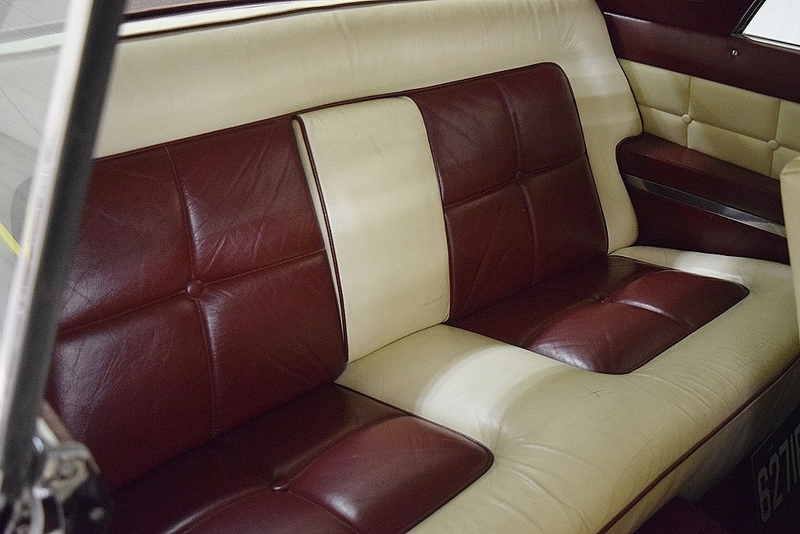 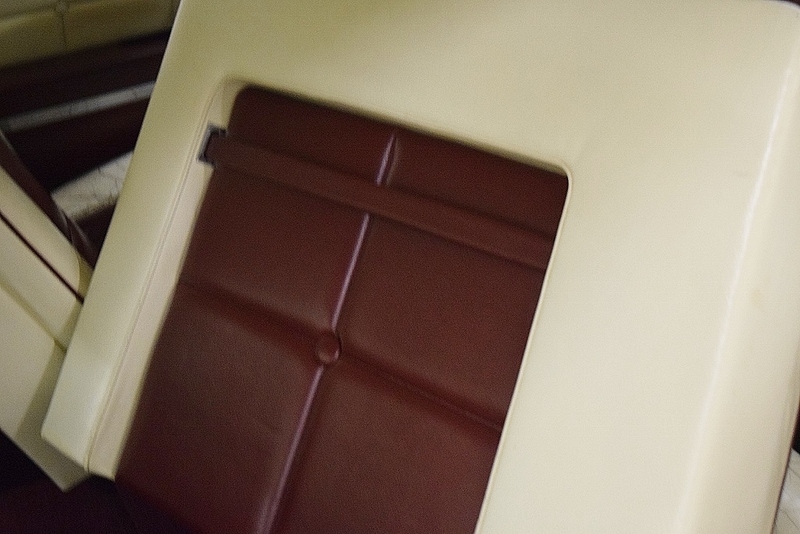 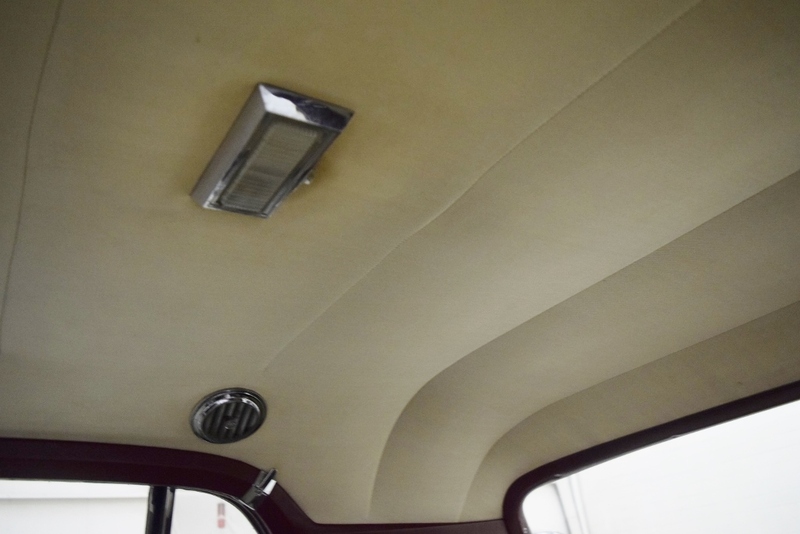 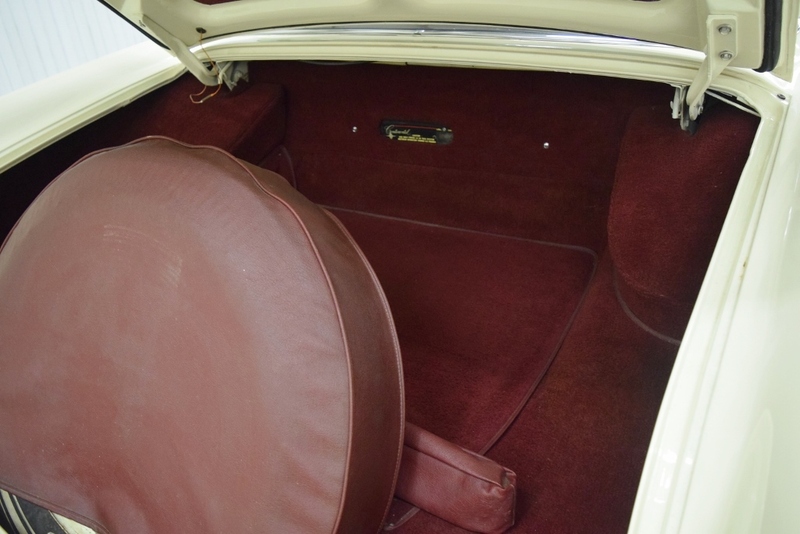 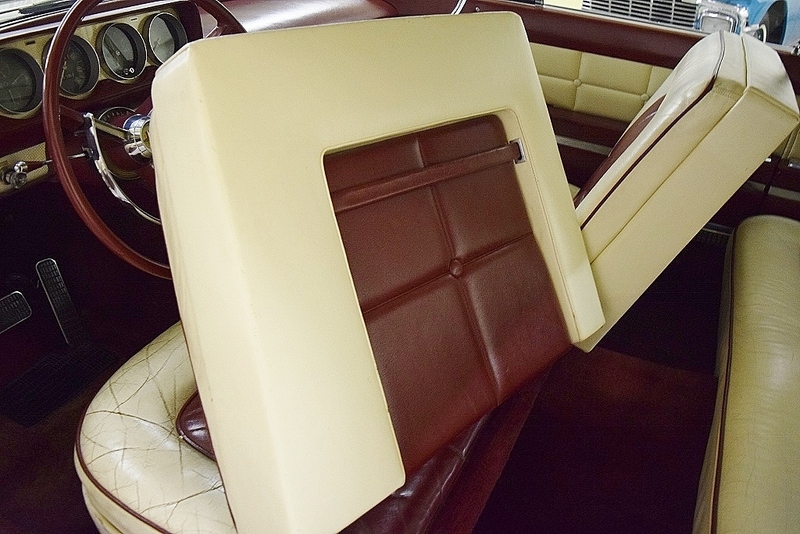 The seat upholstery is white leather with burgundy leather inserts.. 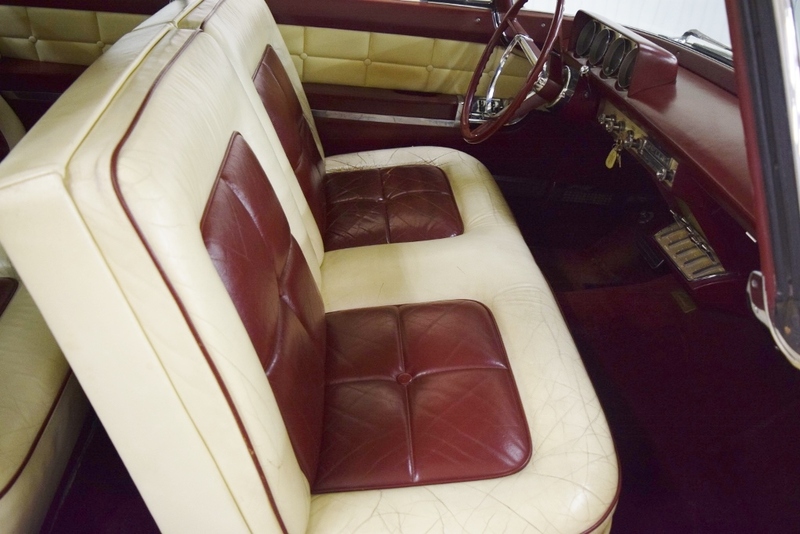 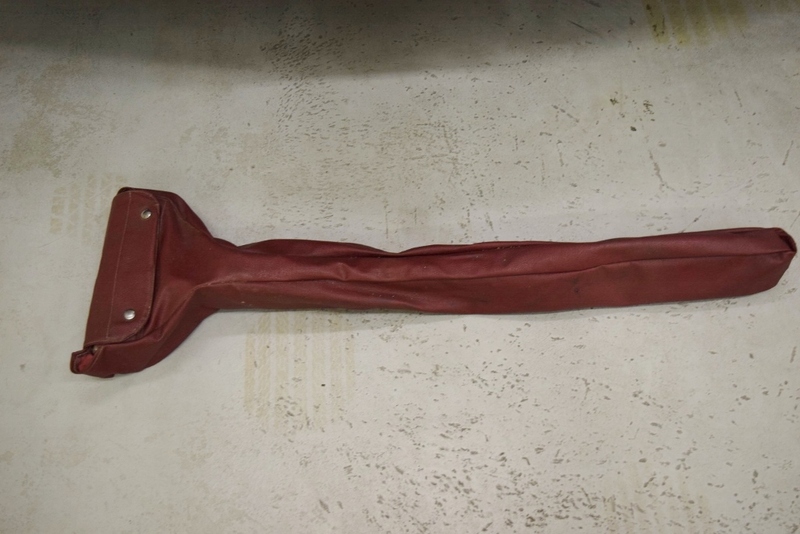 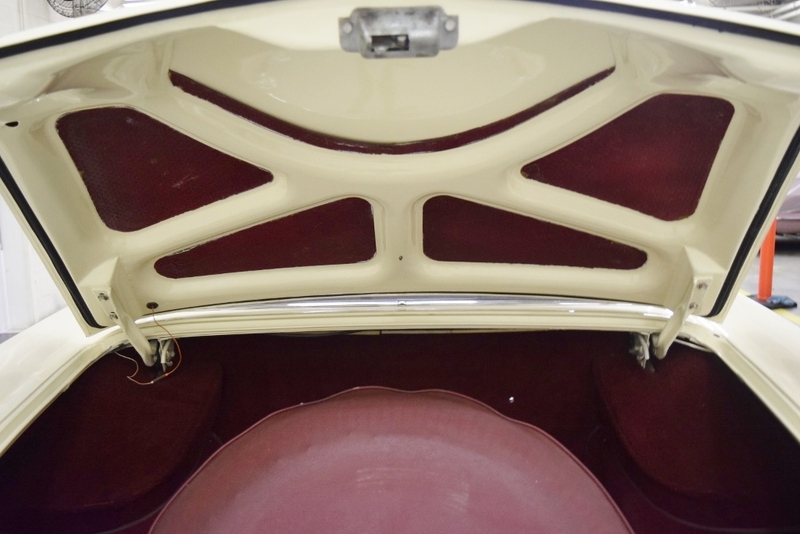 The front seat looks original with the patina of wear, and the rear seat is in very good condition. 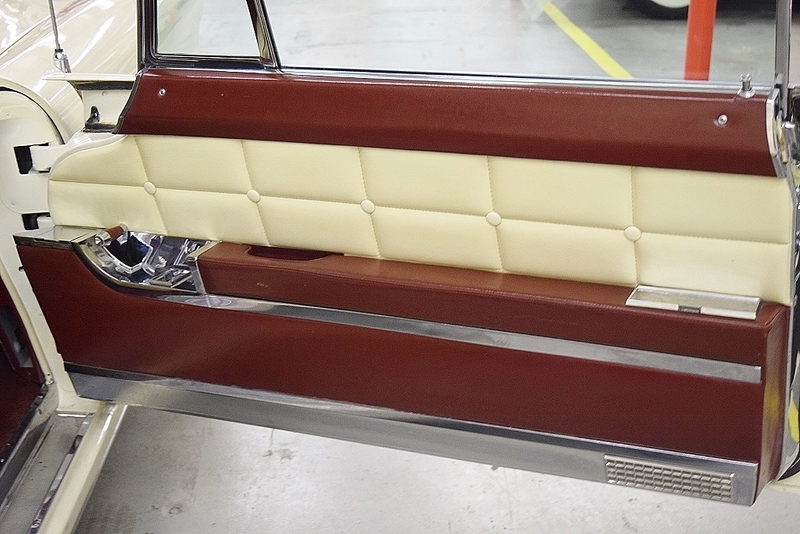 The door panels are also in very good condition as is the dash. 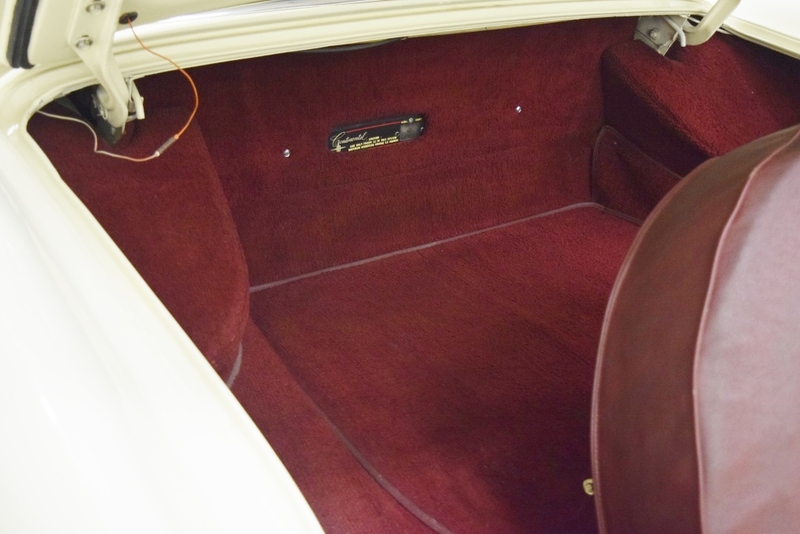 The headliner is in good condition as is the carpeting. 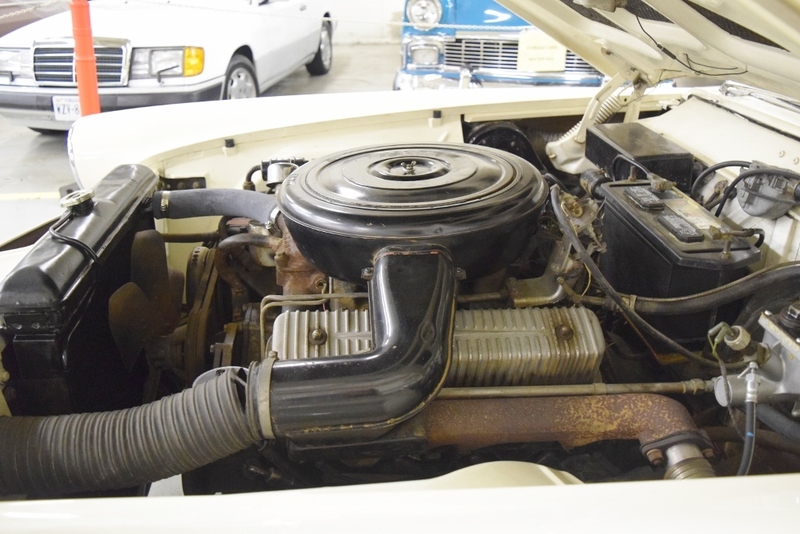 The engine is the 368 cubic inch V-8 that was rated at 285 hp for the 1956 model. 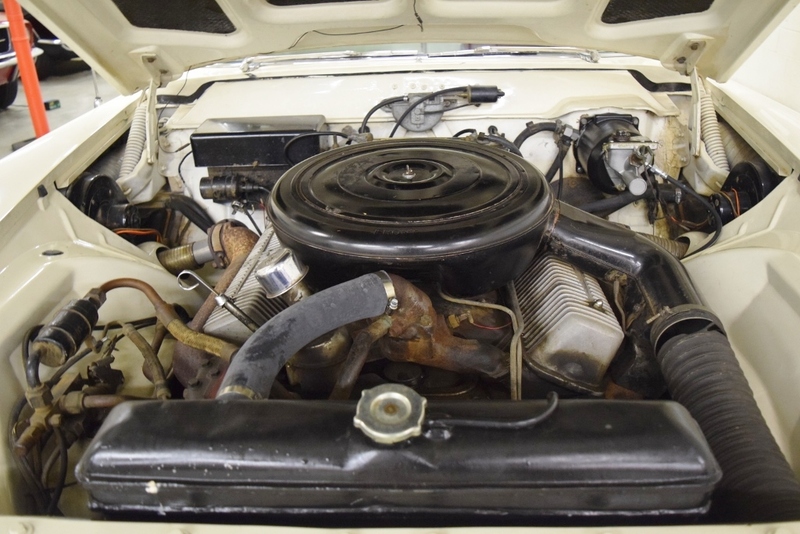 The engine starts right up and provides ample power for this 5,000 lb. 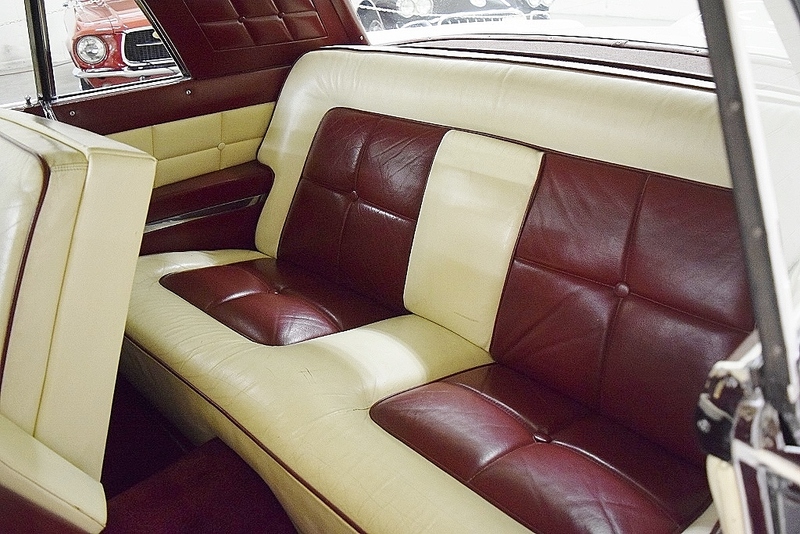 ultra-luxury automobile. 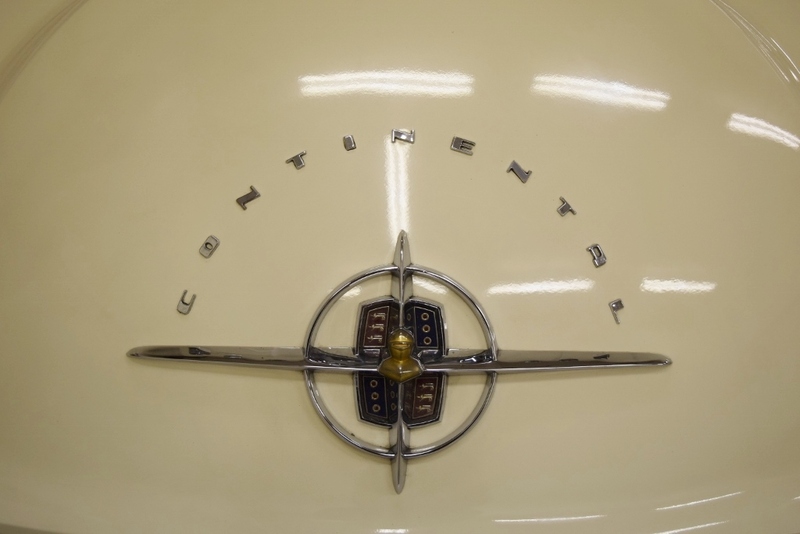 The transmission is the Turbo-Drive 3-speed automatic. 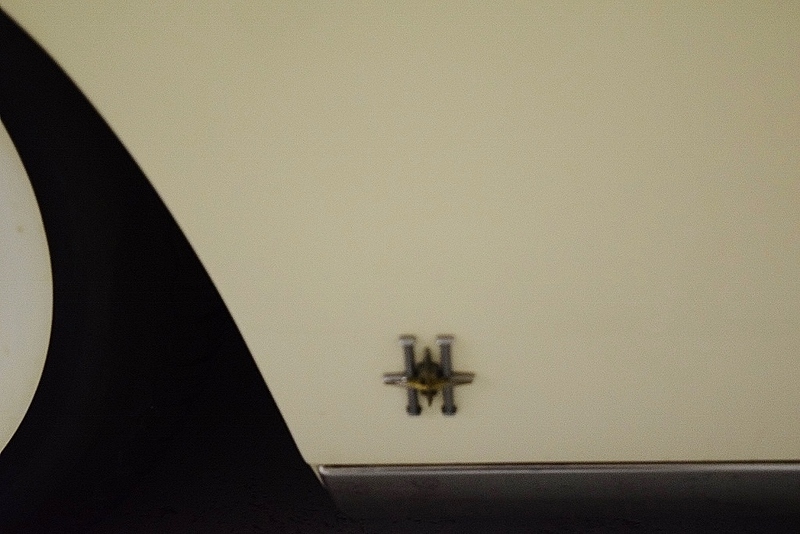 It shifts properly as befits such a car. 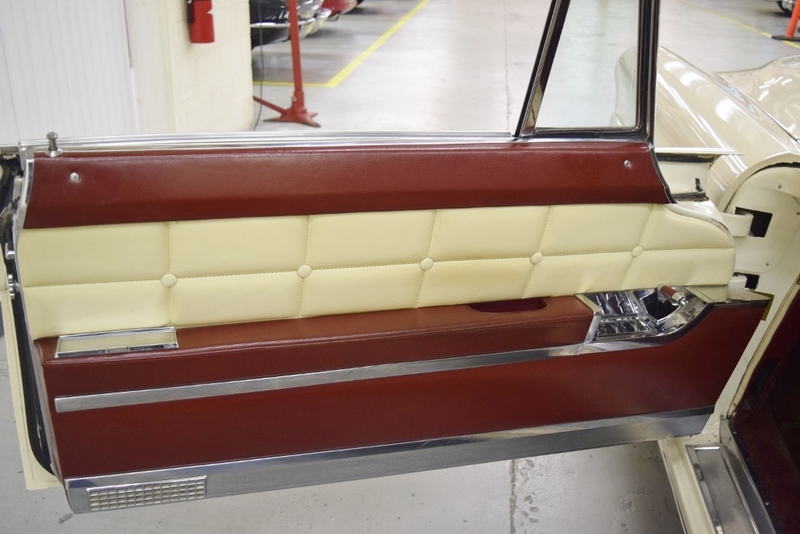 From the leather seats to the all power components (windows, brakes, seat, steering), this air conditioned Mark II is all that you would expect. 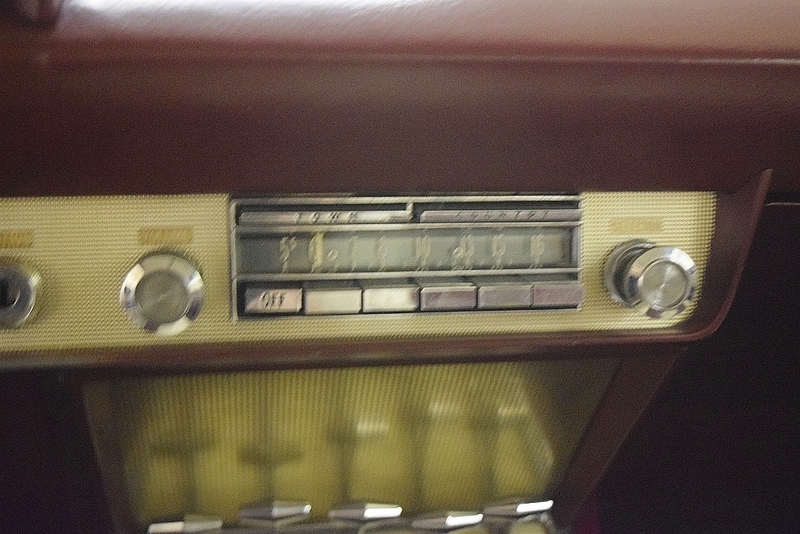 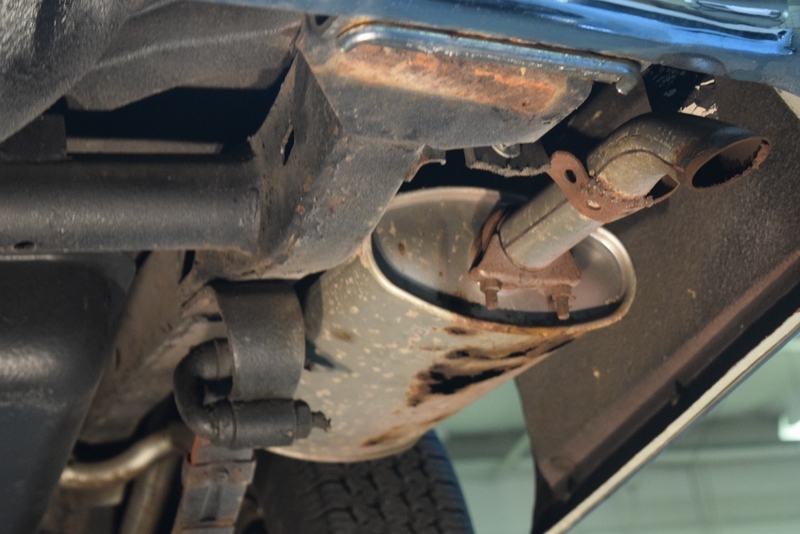 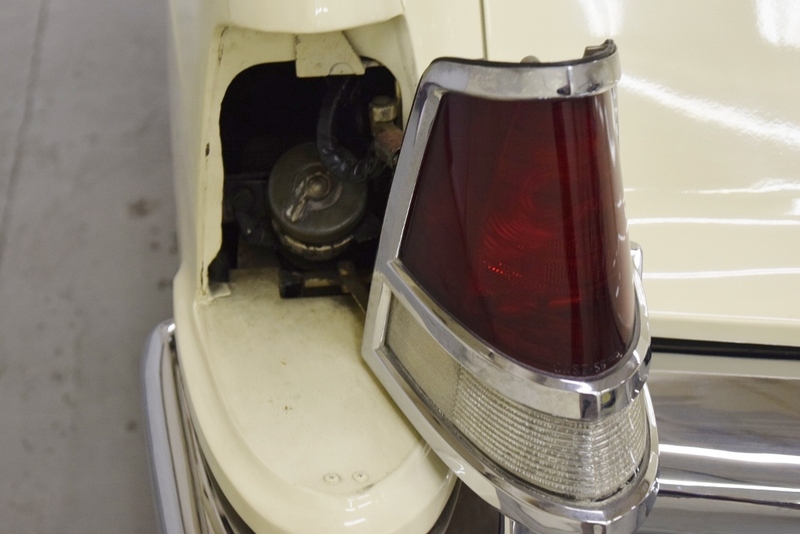 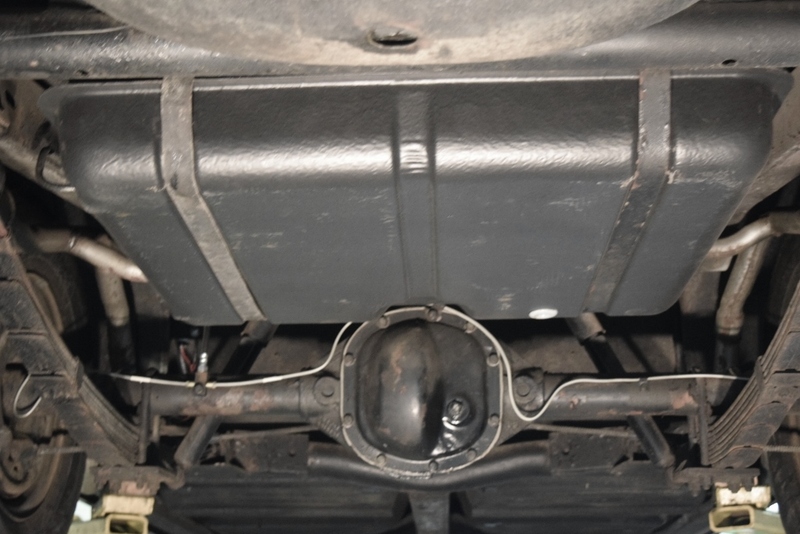 A couple of minor items will need attention (back-up lights, clock and right vent window/rear window, mufflers). 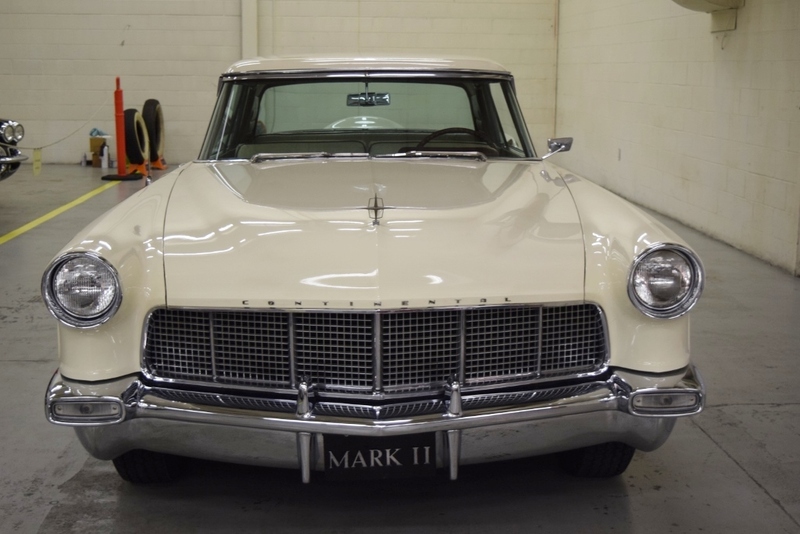 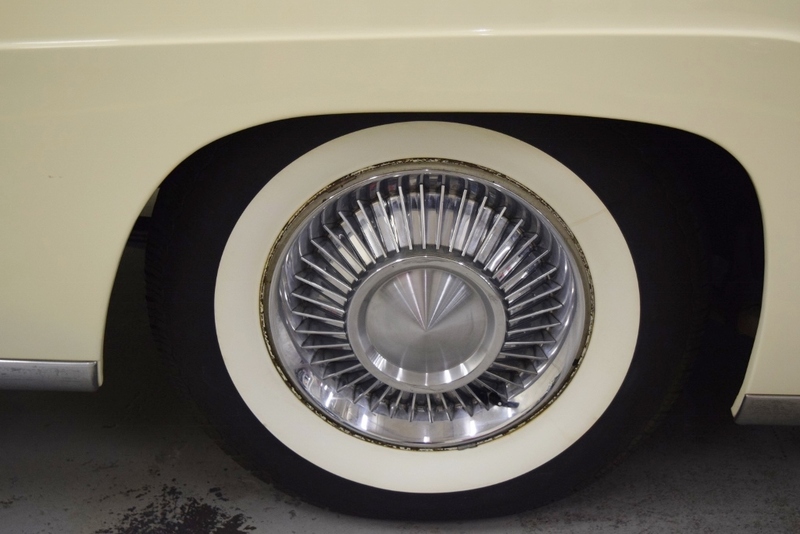 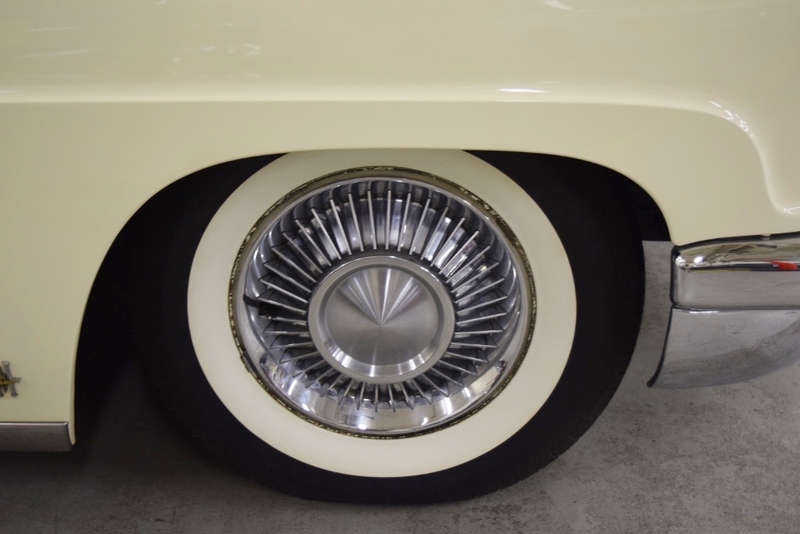 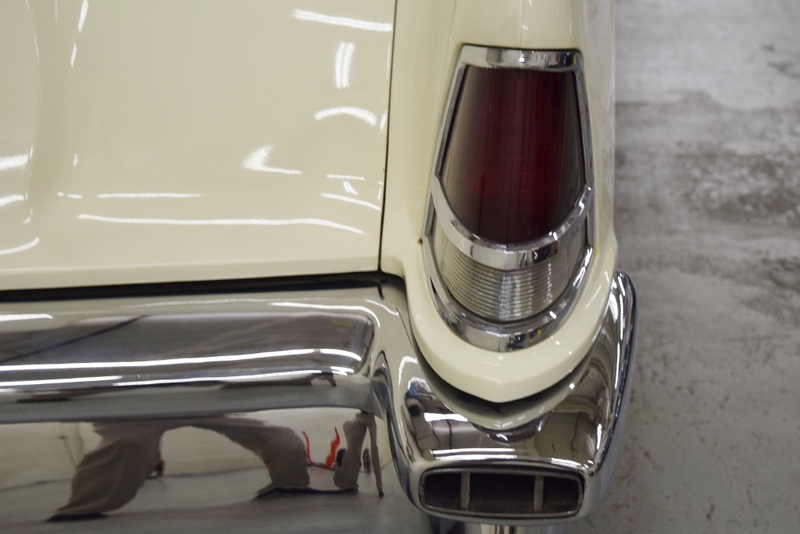 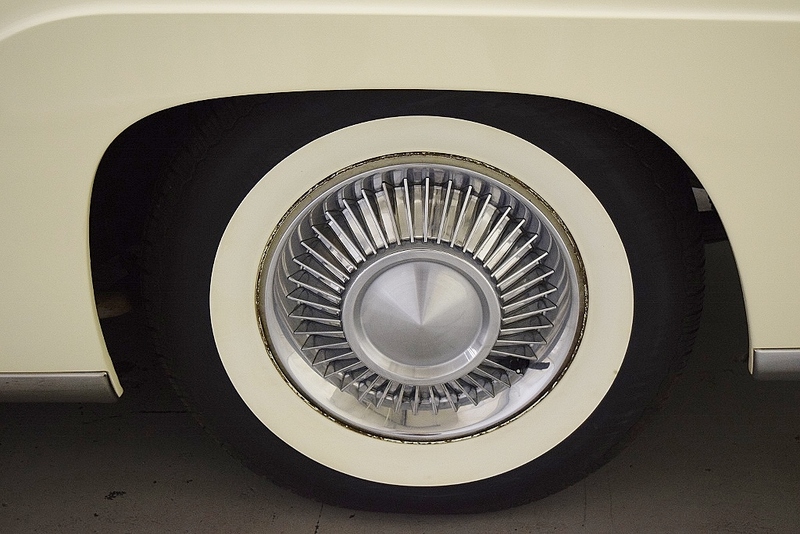 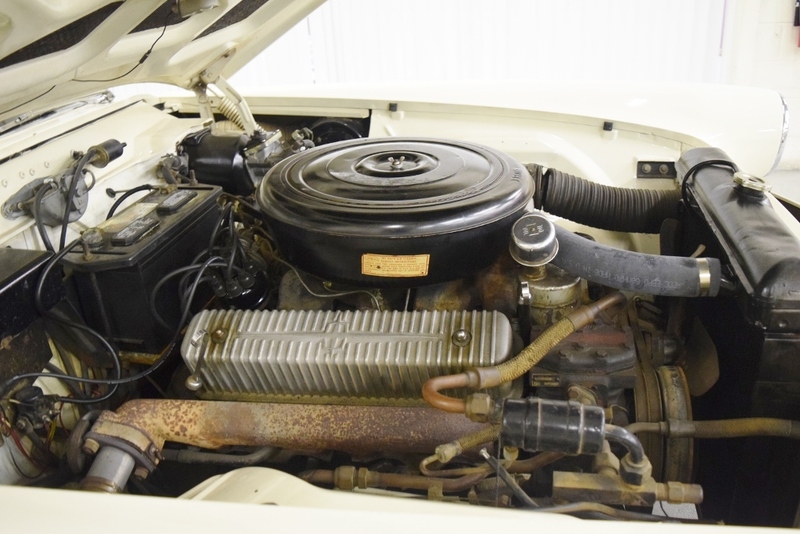 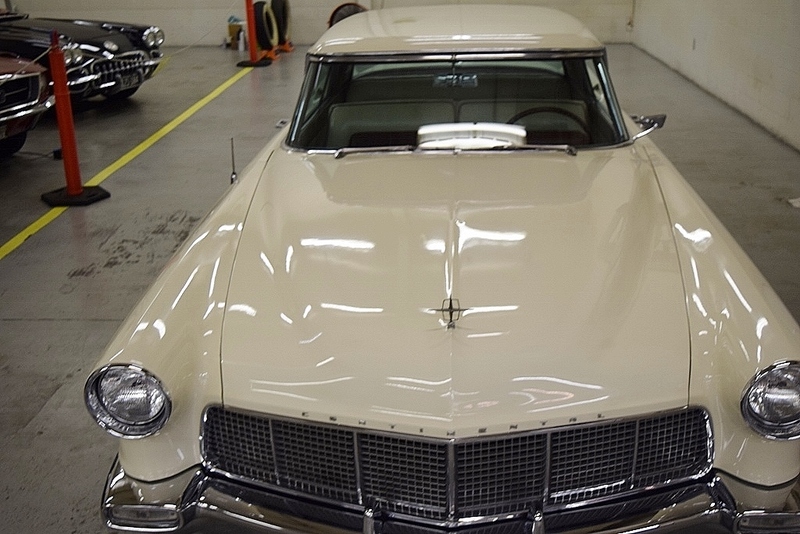 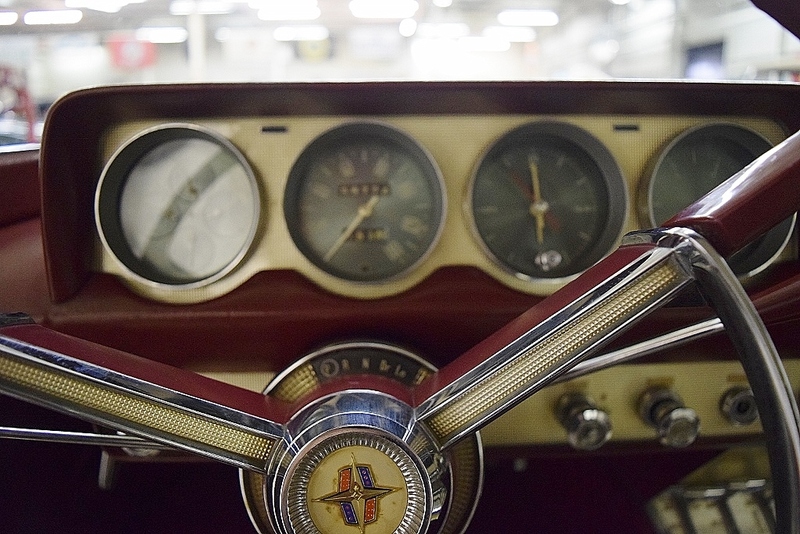 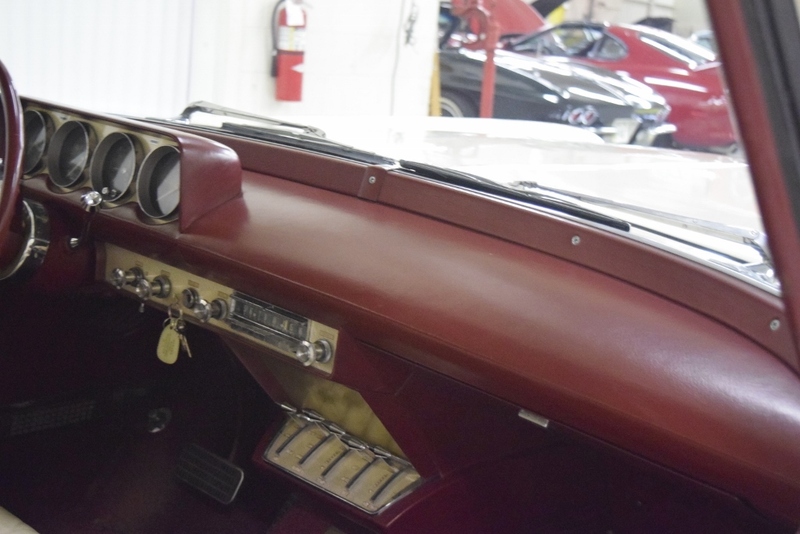 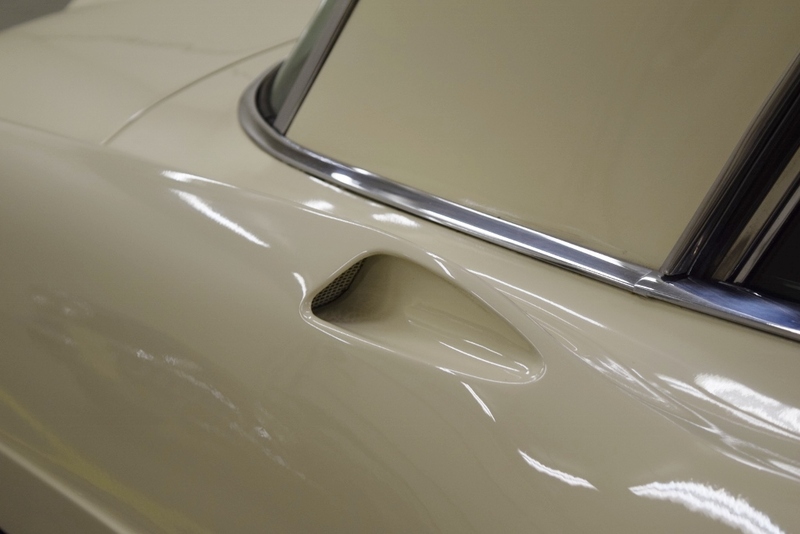 This Mark II is one of the truly collectible luxury cars made in America. 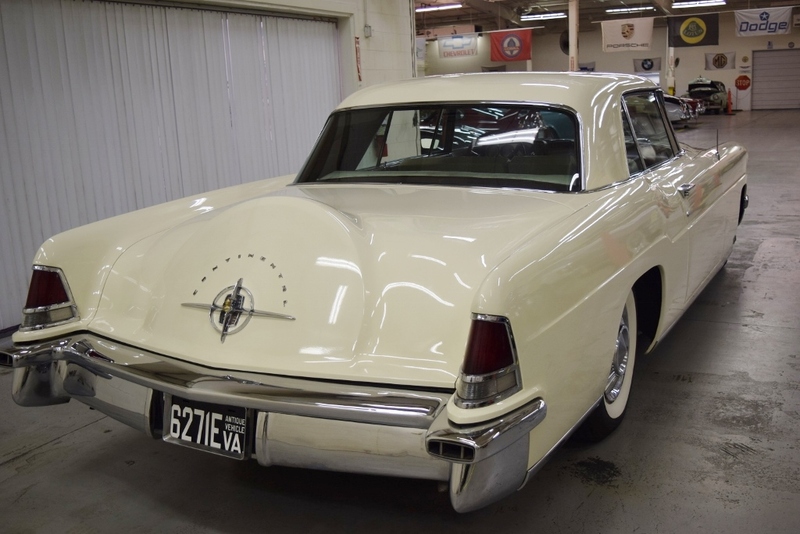 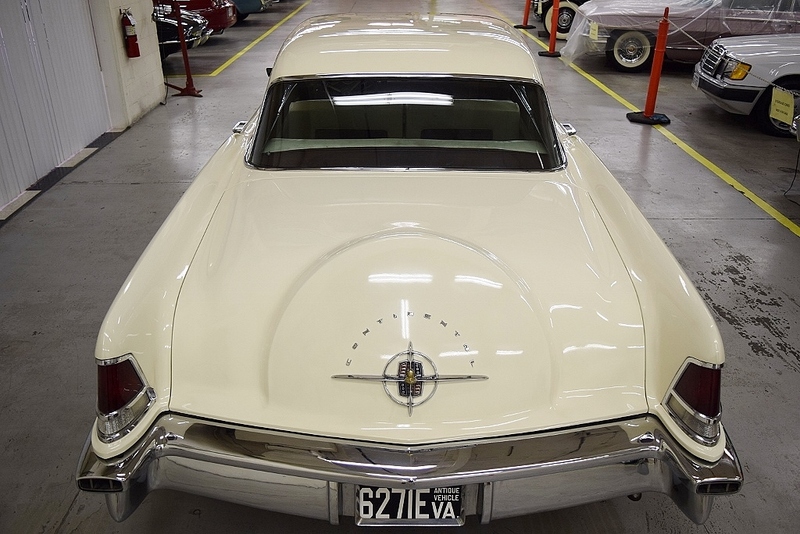 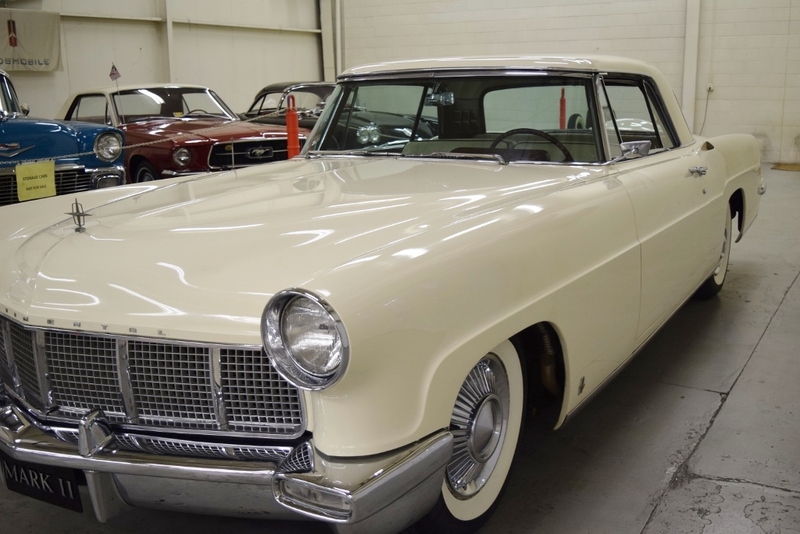 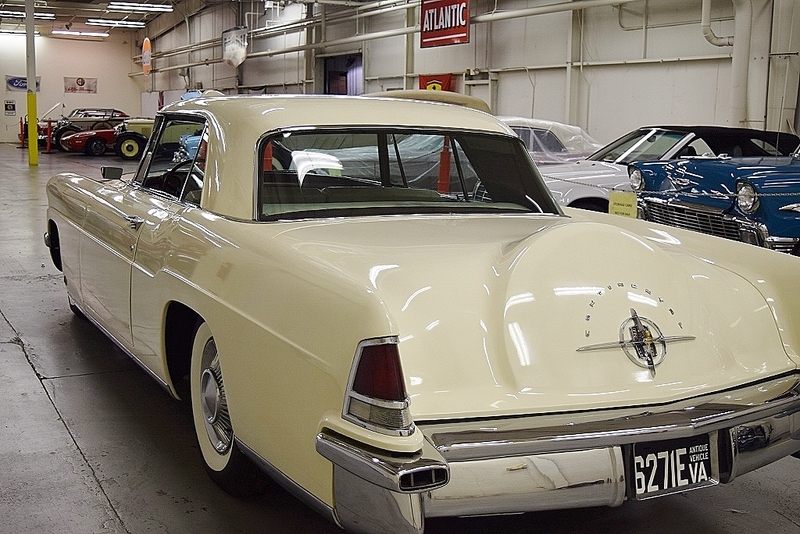 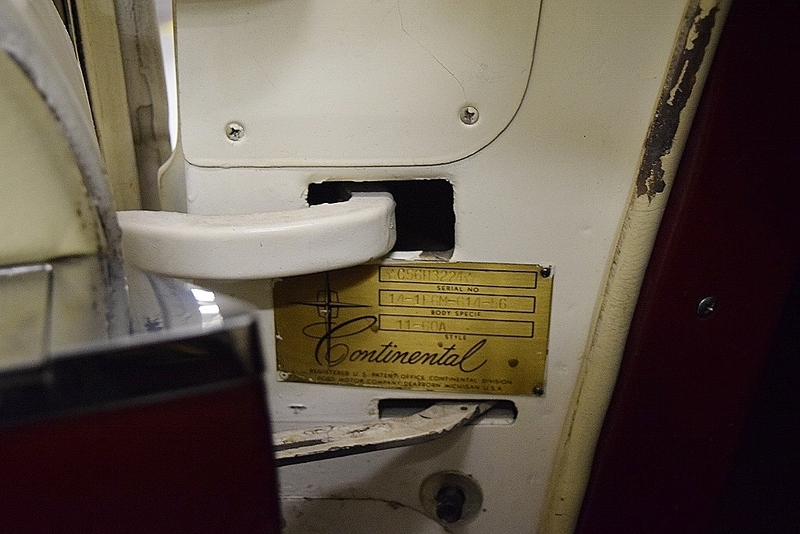 Limited in production, these hand-built cars were so special to Ford Motor Company that they were given an entirely new marque: Continental, that were sold exclusively through Lincoln dealers. 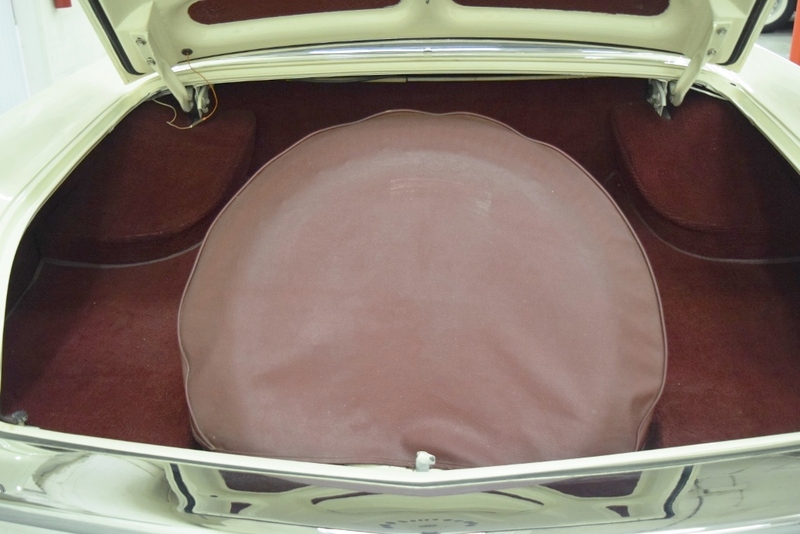 This is a great example of that seldom-seen marque that will be equally at home at car shows or the country club. 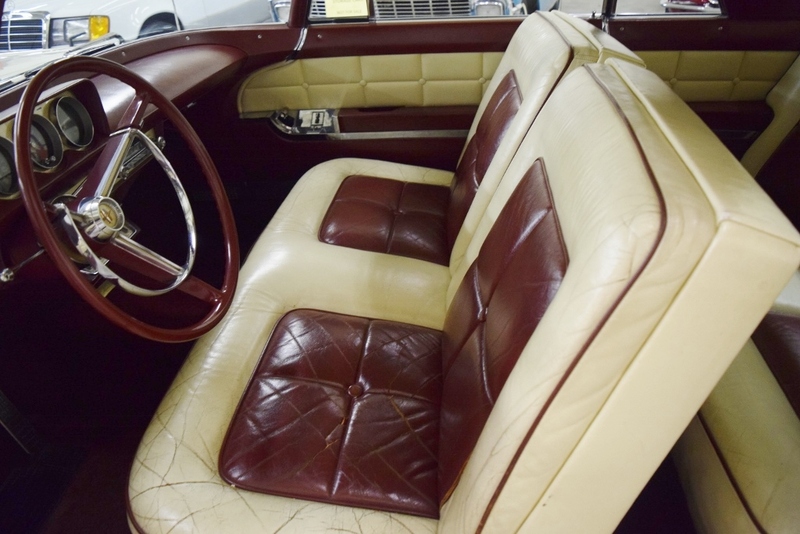 It is also a car that is certain to appreciate due to the quality of the construction, the condition of this particular car and the very low production numbers. 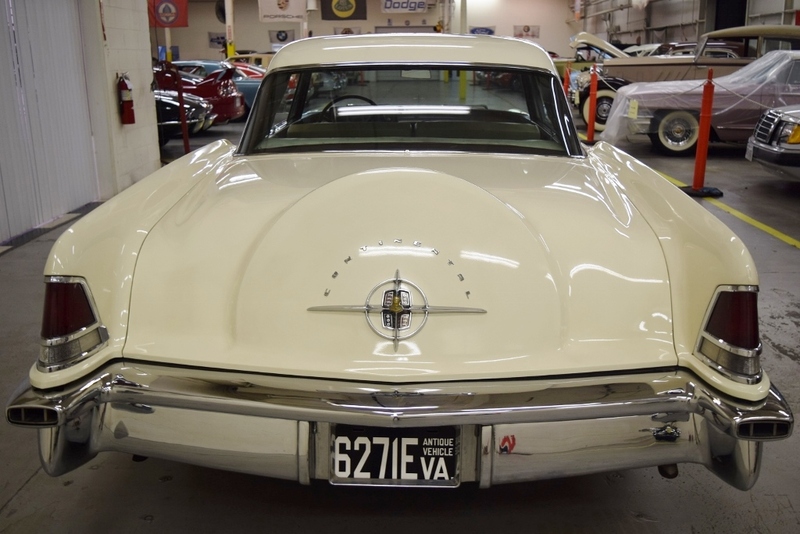 Stop by and see this rare car or make an appointment for your inspector and/or banker to examine it.